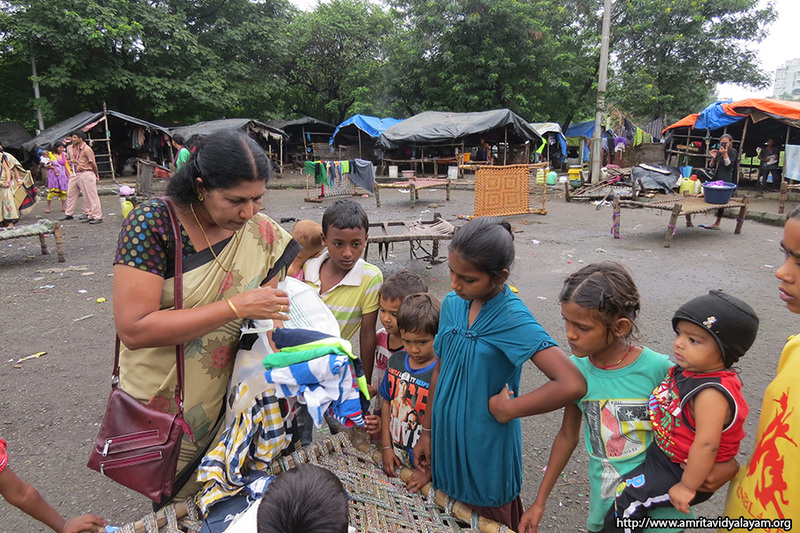 Sevamritham – On Sunday, October 2 nd , teachers and students distributed rice, soya chunks, toys and clothes among the adopted families of the Juinagar area. A couple of families that were not adopted by the school were also given these items as they had young children and were in need. ‘Sealing of Desires’ – The total amount collected for September was Rs. 2,723 from grades VI through XII. 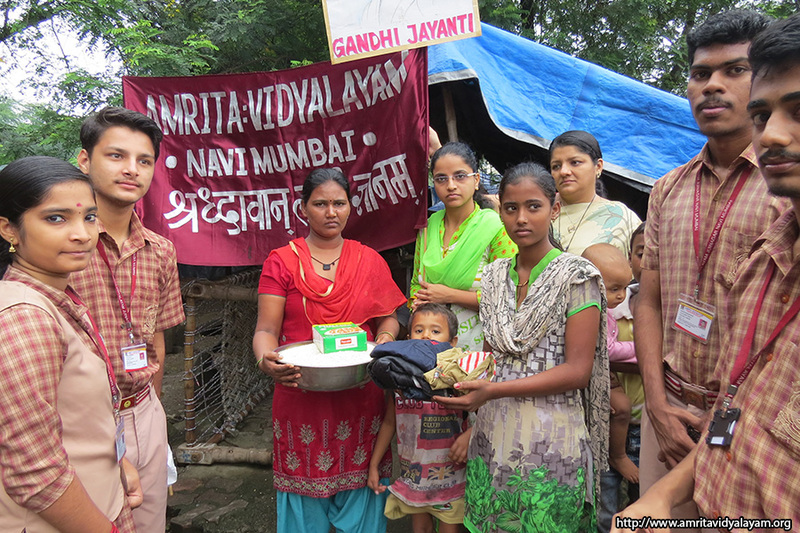 Some of it was used to buy soya chunks to be distributed among the adopted families. 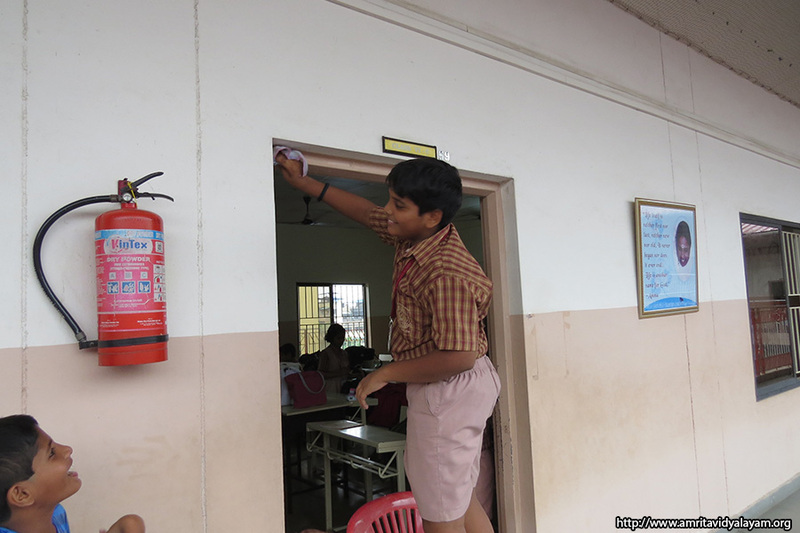 A special mention to Class IV B students who brought Re.1 each day, collecting a total of Rs. 240. 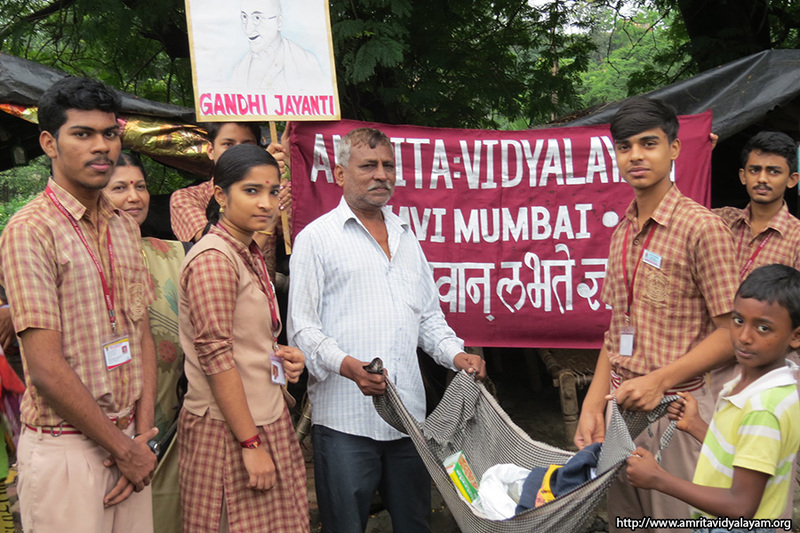 Wealth from Waste – A total of 18 cloth bags were stitched by the students which will be distributed to spread the message of reducing plastic. Bhootayajnam – Students from pre-primary to standard II brought grains like rice, millet, jawar, etc. on Mondays to feed birds. With rains becoming sporadic, the birds have also started coming in and happily feeding on the food provided by the children, and drinking water from the earthen pots. Grihamritam – The Dry/Wet garbage segregation task was continued for this month also because of the festival season which will see an influx of waste. 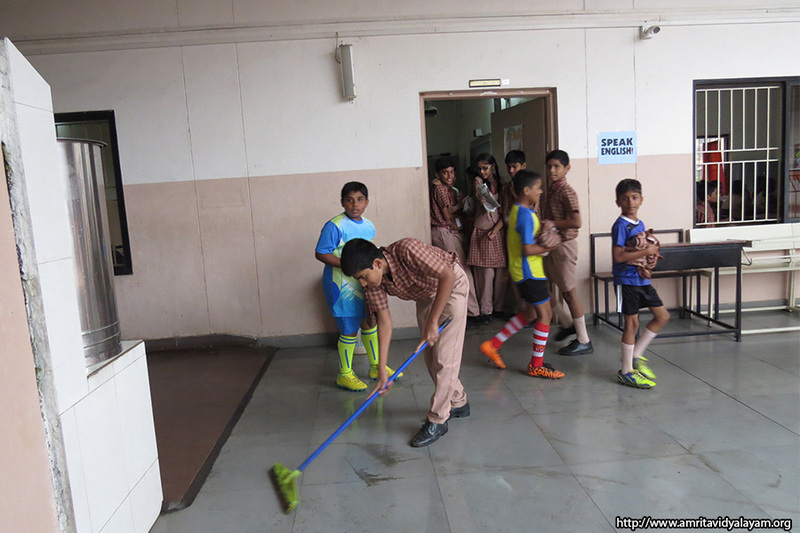 Students were asked to be aware and take the initiative to guide guests coming to their houses to use the different dustbins correctly. 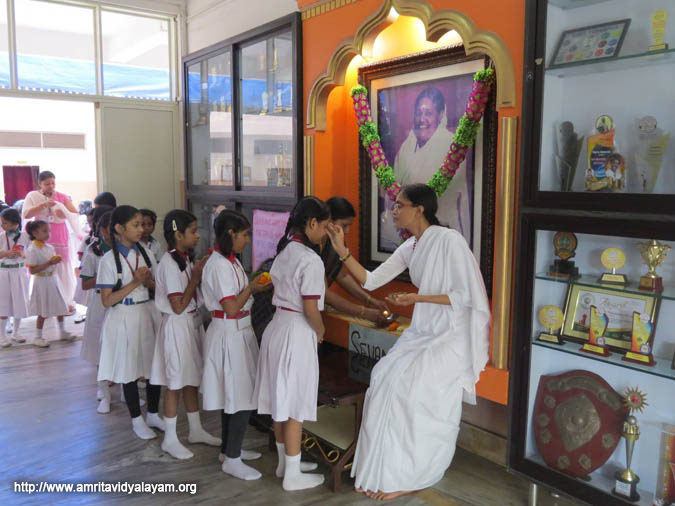 Snehamritam – Birthdays of teachers, staff and students were celebrated with lots of excitement in the school, as everyone awaits their special day to receive sweets from the Principal. Students and teachers have expressed how special they feel, and how they want to extend this feeling to others too and share the “joy of giving”. 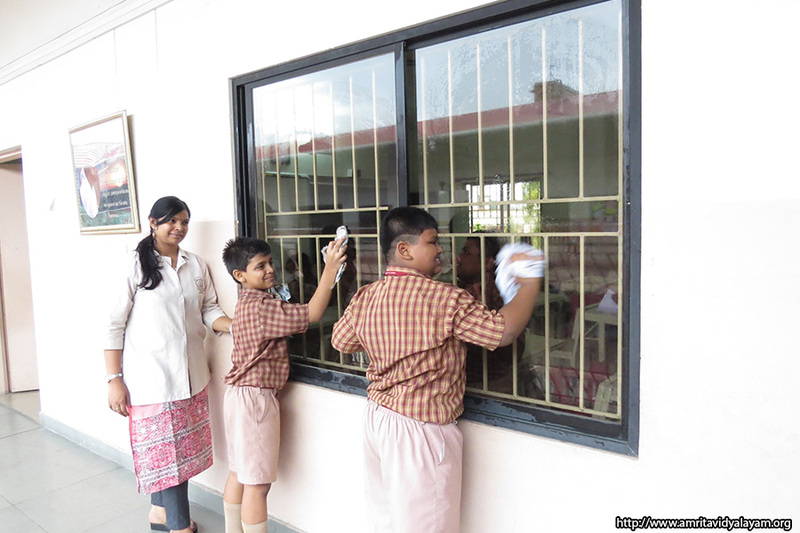 Students have brought saplings and helped their mothers at home, and teachers have given donations to organizations that treat cancer patients. 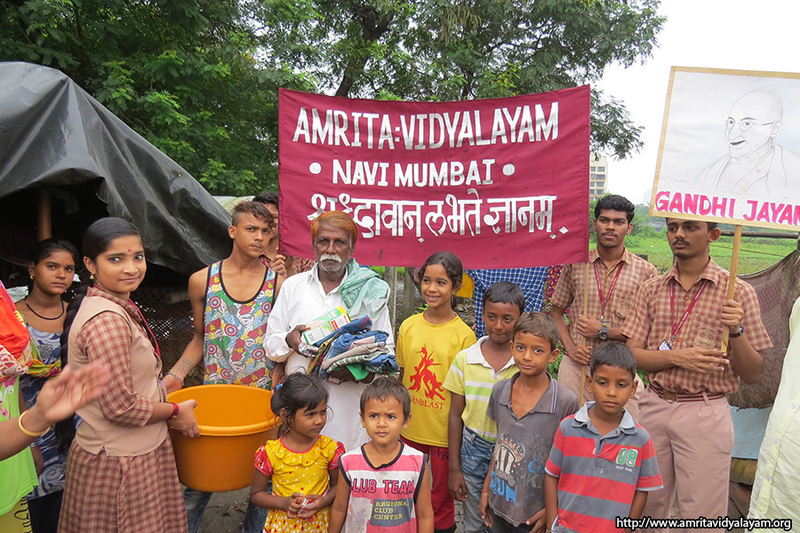 Amrita Katha – The values for the week were Honesty, Perseverance and Optimism. Students told inspiring stories from the lives of M.K. Gandhi, Ramanujam, Bill Gates, Thomas Edison and Richard Branson. House boards also highlighted these values and students displayed their talents through slogans and pictures.